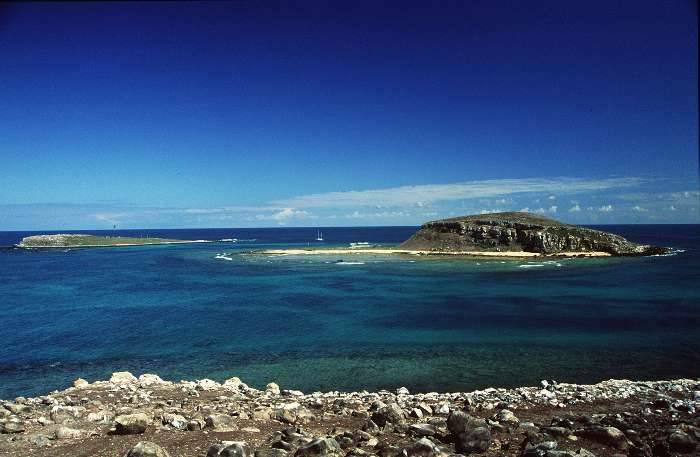 Portuguese explorers were the first to arrive at the Abrolhos National Marine Park., having named the islands and sailed along the Caravelas Rivers since 1503. 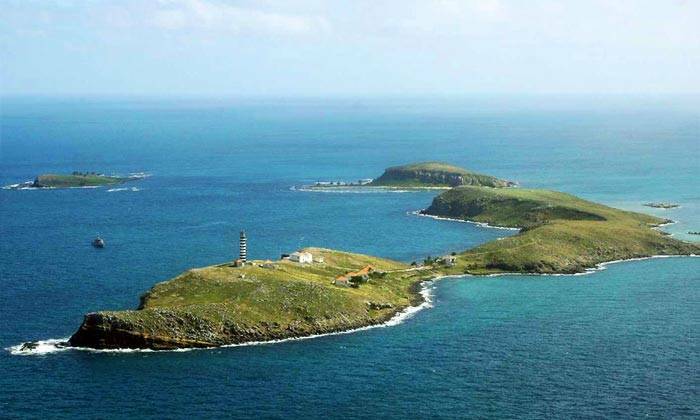 The name Abrolhos is short for open your eyes in Portuguese, and is an indication of the dangers to navigation in the area, which has numerous reef and rock formations just shy of the surface of the sea or even awash, and is dotted with shipwrecks. 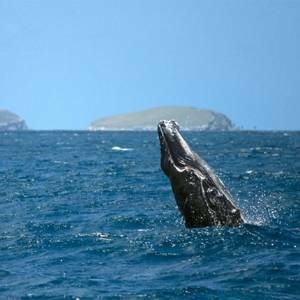 In 1987, a small remnant humpback whale population was discovered during the Marine Park’s implementation and thus Abrolhos was suggested as the species’ main “nursery” ground on the Western South Atlantic. The Humpback Whale Project was then created to promote research and protection for these mammals in Brazil. Caravelas, an important whaling port in colonial times, became the headquarters of the country’s first humpback conservation project. In 1988 the first cruises to photograph the whales were carried out and the first attempt to study the whales from a land station on the Abrolhos archipelago were made. The Humpback Whale Institute, a non-governmental organisation, was only launched nearly a decade later, in 1996, with the goal to provide administrative support for the Project’s conservation and research activities. 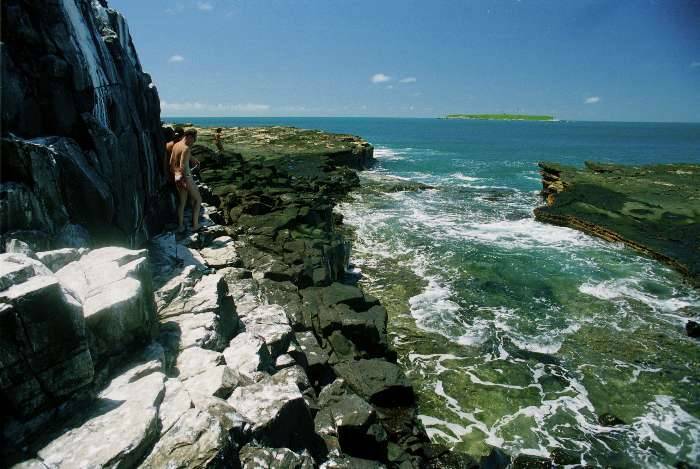 That eventually led to the creation of the Environmental Information and Education Program and the Estuarine Dolphin of Southern Bahia Project. 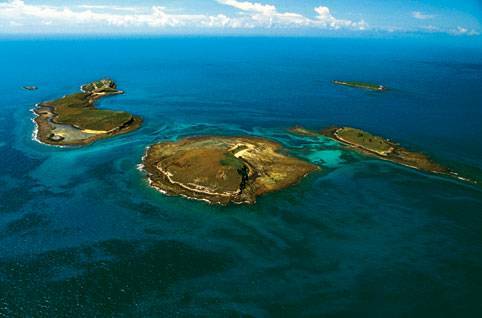 The whaling ban and intense conservation initiatives have resulted in the population’s recovery around Abrolhos and reoccupation of the species’ former range on the North coast of Bahia. For this reason the Institute’s second station was created in 2001 in Praia do Forte. This allowed for research cruises to be carried out on the north shore, increasing the study area. 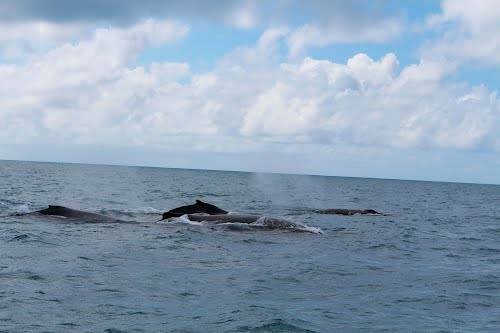 The species’ coastal habits and the narrow continental shelf along Bahia’s northern coast, allow the observations to be made near the coast and whalewatching, promoted by HWI as an effective awareness raising tool has been increasing every year, and so have the number of whales sited by researchers and local fishermen who contribute with the HWP. 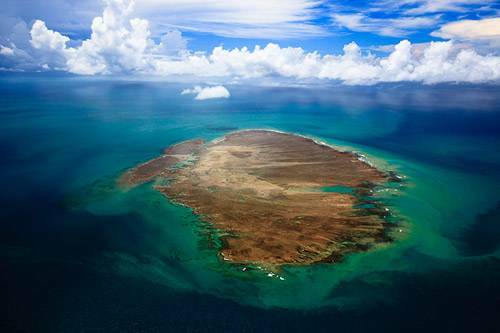 National and foreign O&G companies have concession for oil blocks around Abrolhos. Petrobras, as the main sponsor of the HWP also has plays in the area and without its financial support the HWI would probably not survive.Yet even so the HWP sent copies of a document signed by more than 12,000 activists calling for the end of oil exploration around the park to all the player with stakes in the area. 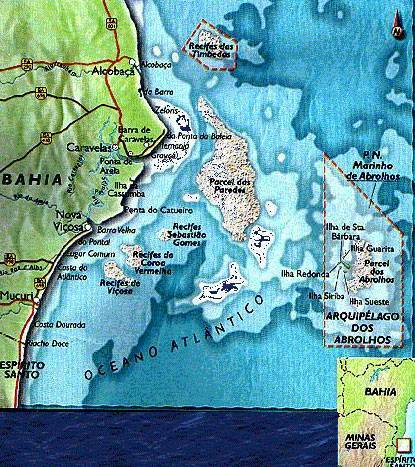 This hasn’t let to any response and the right to explore and produce around the islands has been upheld by brazilian courts. It would be interesting to have a greater partnership between the HWI and other players in the area to define emergency response strategies in case of any spills from wells, rigs, flowlines or even shipwrecks. E&P will definitely continue around the Abrolhos Archipelago and it wouldn’t be beyond the means of the players to sponsor dedicated oil recovery and removal ships for the area and permanent surface and subsea monitoring, which could be easily accomplished with one dedicated research vessel and/or from shore with the deployment of wavegliders and AUVs, while drones could also offer aerial monitoring support, all of which would bring researchers a wealth of data and help protect the arquipelago from illegal fishing and potential oil spills. The coral formations in the area cover a reasonably large area, The extensive reefs of the island group are an area of rich marine fauna and uninhabited islets are a breeding ground for pelagic birds. 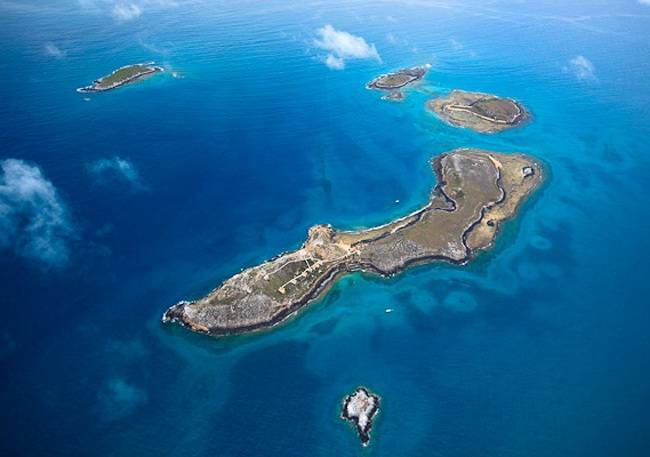 The islands are spread over a total area of 913 km ² and it would be interesting, if not vital to have continuous monitoring of the Abrolhos Arquipelago as it contains delicate natural environments which are at iminent risk with the amount of exploration being done around it.